Actor Chris Hemsworth, as Thor, holds his helmet in his hand while an arena full of bloodthirsty spectators demands a gladiator battle. 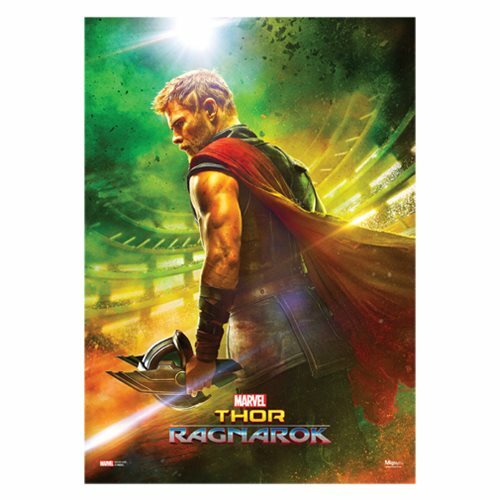 Meanwhile, this unframed 24-inch tall x 17-inch wide Thor: Ragnarok Thor Arena MightyPrint Wall Art is as tough as an Asgardian god! For an extra-dramatic look, hang it in front of a window or in a backlit LED frame (sold separately). The print's light-catching properties allow light to pass through, illuminating the vivid colors and details.